This is a brand new EP, out now on the Funktionslust Recordings label. I’m excited! 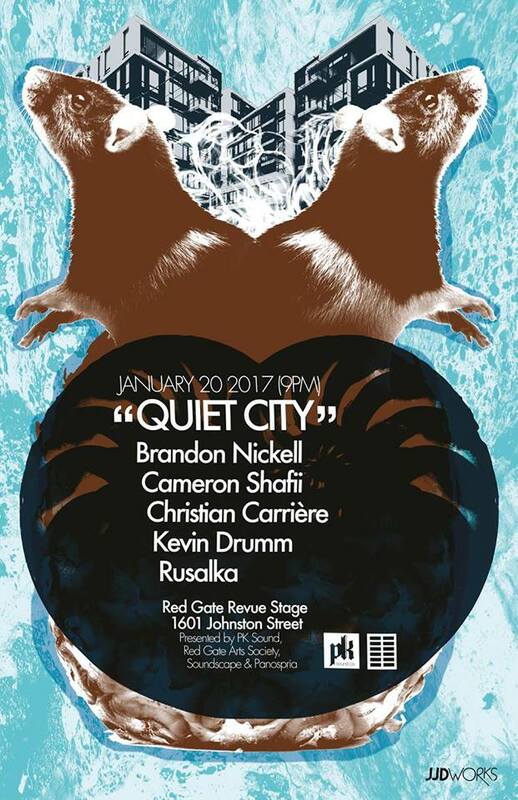 While in Vancouver, I played a set at the wonderful Quiet City series on January 20th. Thanks to Constantine Katsiris for a great night! Back in Montreal, I presented some new work based on audio fractals at Never Apart as part of Practice, a series of concerts put on by Jann Tomaro. The Never Apart magazine also featured me in their February edition. This is an EP of sound pieces commissioned by Douglas Scholes for his amazing Landmarks2017 project. Another solo show coming up next Friday June 10, 2016 at Le Temporaire, Hull, Qc. I have two solo shows coming up. 1-Centre Phi, Montreal, May 21, opening for Rival Consoles. 2-Mutek Festival, Montreal, June 3. Looking forward to both shows! This piece is an edit of a sound installation I created for Mere Phantoms for their Three Cities: A shadow triptych project at Brandts Museum in Odense, Denmark. The exhibition runs until January 11, 2015. BBC Radio 3 show Late Junction contacted me a while back. Guest host Mara Carlyle wanted to play my performance of Fratres for audio console. Here is her show. And below is the excerpt in which she introduces Fratres. I occasionally make some nature recordings with friends in the (semi-)wildlands of Ontario. We always have a lot of fun doing it. Here’s a brief moment… a sort of trailer for what we do. Everything you hear in this piece was recorded in the woods. My friends Véronique and Étienne run an art collective called raison mobile here in Montreal. They recently participated in a group exhibit at Espace projet and produced a short timelapse video of the set-up for their show. I made some music for it. Here it is… Enjoy ! 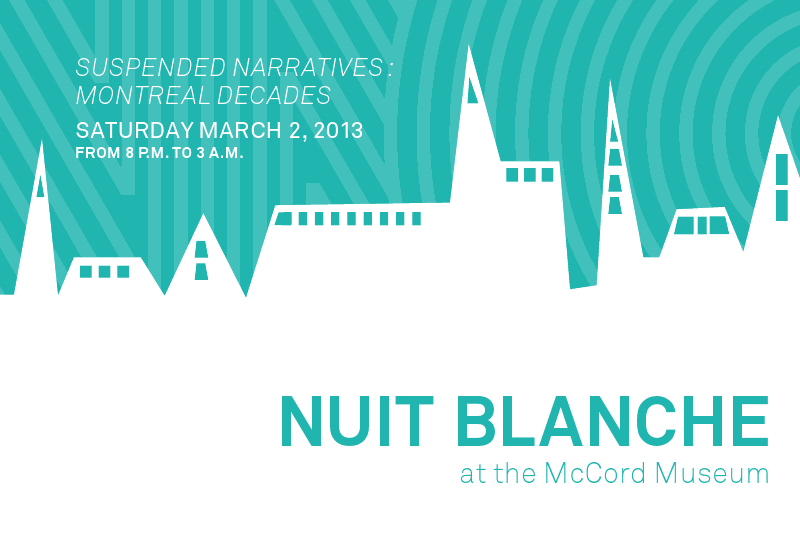 I will be participating in the Nuit blanche festivities this Saturday March 2nd at the McCord Museum in Montreal. 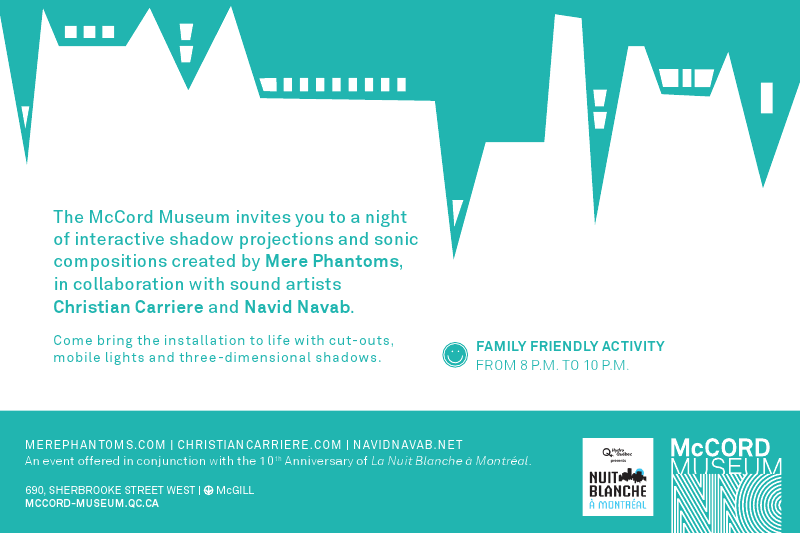 I will play two sets of improvised music with sound artist Navid Navab along with the Mere Phantoms‘ interactive shadow-puppetry installation. The music sets will be at approximately 10:30 pm and midnight. The McCord is located in downtown Montreal, across from McGill University. It is accessible via McGill metro station (on the green line) or bus 24 on Sherbrooke Street. If you ask any Montrealer what happened at 8pm every night during the summer of 2012, you will get one answer : pots and pans ! The tradition of ‘cacerolazo’ began in Chile in the early 1970’s as a way of protesting Salvador Allende’s government. Here in Quebec that summer, there was widespread disagreement with the provincial government’s tuition fee hike proposal and its general direction in governance. So people took to the streets with casseroles to express their disapproval ‘en masse’. It was a beautiful and unifying moment in the city’s history. This recording is a walk-through of my neighbourhood during one such casserole protest, starting at exactly 8pm. Please note that the piece ‘Éléments chambre noire’ contains a sample of a recording made with the Lanark Land Art Recording Group.